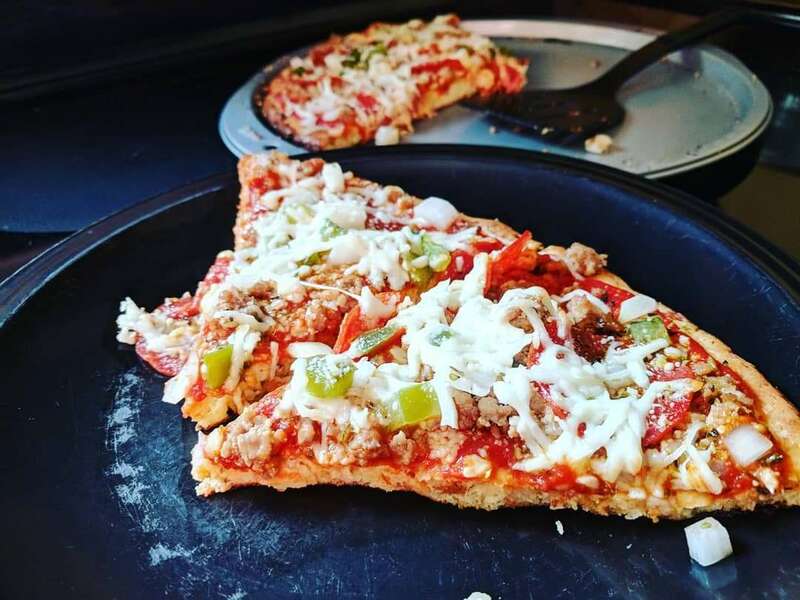 Craving thick crust pizza? I have got the recipe for you! 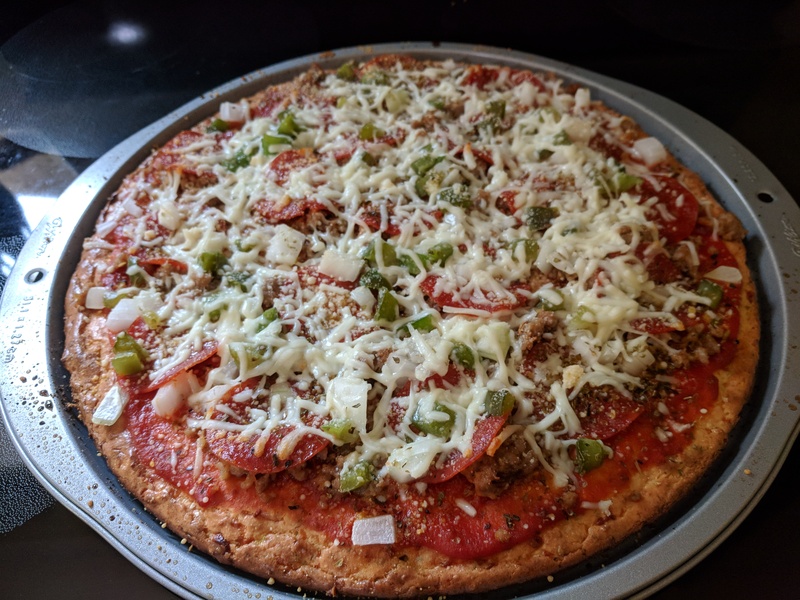 This keto pizza crust is created with a whole lotta cheese, eggs, pork rinds, and a little bit of almond flour. I had extra pork rinds lying around that I needed to use up, this was perfect. It satisfies. It’s super filling too because it is fat-loaded, making it a hot recipe with those sticking to keto. I’d go as far as saying its a fat-bomb pizza. Two slices filled me up, definitely worth sharing! Also, great with this Low-Carb Cheesy Bread! Grease a pizza pan or baking sheet and preheat oven to 425 degrees. Combine the cream cheese, eggs, seasoning and cheeses in a bowl or mixer (I use a mixer) Mix well. Stir in the crushed pork rinds and almond flour until incorporated. Place the mixture on the prepared pan and spread out to the sides. Place the crust in the oven and bake for 20 minutes at 425 degrees F. Remove from the oven and let stand for 10 minutes. Top with pizza sauce (low sugar is best), mozzarella cheese, and your favorite toppings. Return to the oven and bake until the sauce and cheese are bubbly. Remove from the oven and let stand for 10 minutes then cut into serving pieces. *Nutritional facts for crust only, does not include toppings. Please note that I am not a certified nutritionist. If nutrition is important to you, I highly encourage you to verify any data you see here with your favorite nutrition calculator.